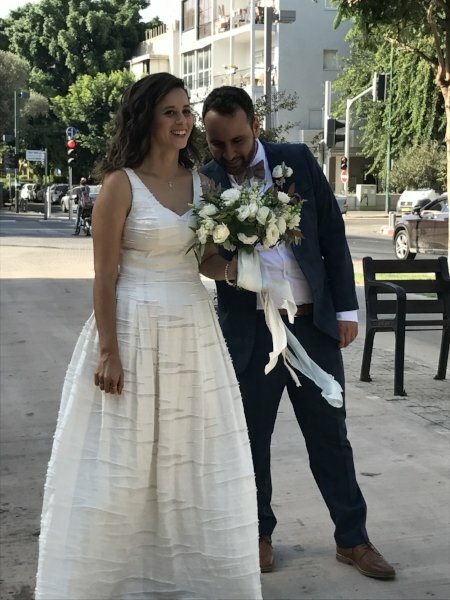 A couple of weeks ago, I had the pleasure and honor of being at one of my best friend’s weddings in ISRAEL!!!! 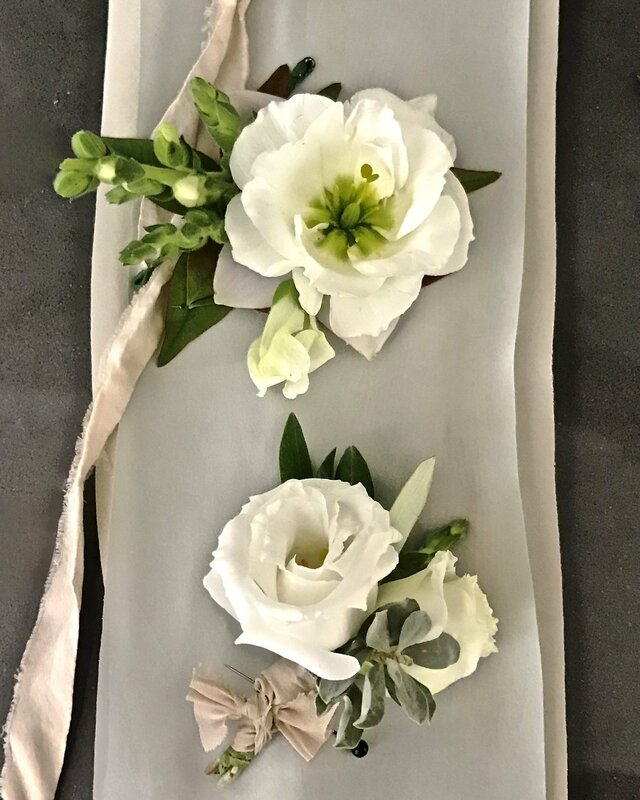 On a personal note, Israel is like a second home to me as I have so much family there and learned the ins and outs of floral and event design in that country. So when my best friend said “I’m getting married” I said without hesitation that I would be there, and make some of the personal flowers for a special touch. I’ve posted some pictures below to show you the fun things I got to make for her. 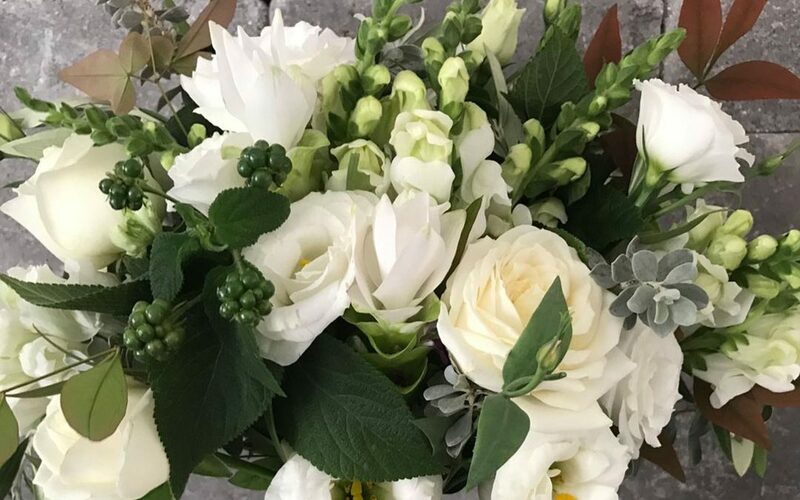 As a little background on the country’s floral industry, it is one of the world’s largest floral exporters–exporting flowers such as anemone, lisianthus, wax flower, ranunculus, ruscus, among many others around the world. When I worked there, we really only worked with flowers that were grown in the country…mostly because we knew those flowers could handle the heat. This gave me a fond love and knowledge of the country’s flowers. 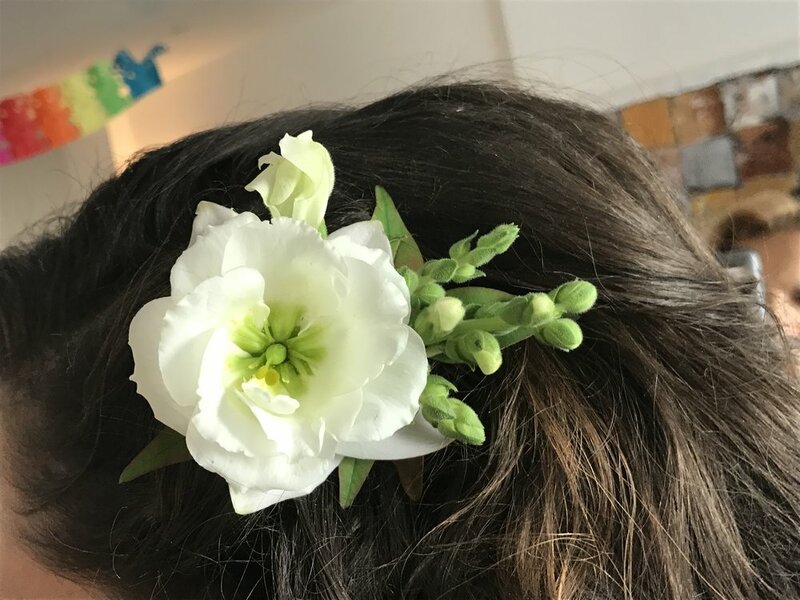 I knew, when I told my friend that I was doing her bouquet, hair piece and her finance’s boutonniere, exactly where I’d go for flowers and exactly what I would use. I was excited to go foraging around the city of Tel Aviv for special greens (especially Olive branch). And I knew I would go to the huk ha-karmel (the carmel market) in Tel Aviv to get her flowers…it’s where I used to go to get my flowers when I was taking lessons. 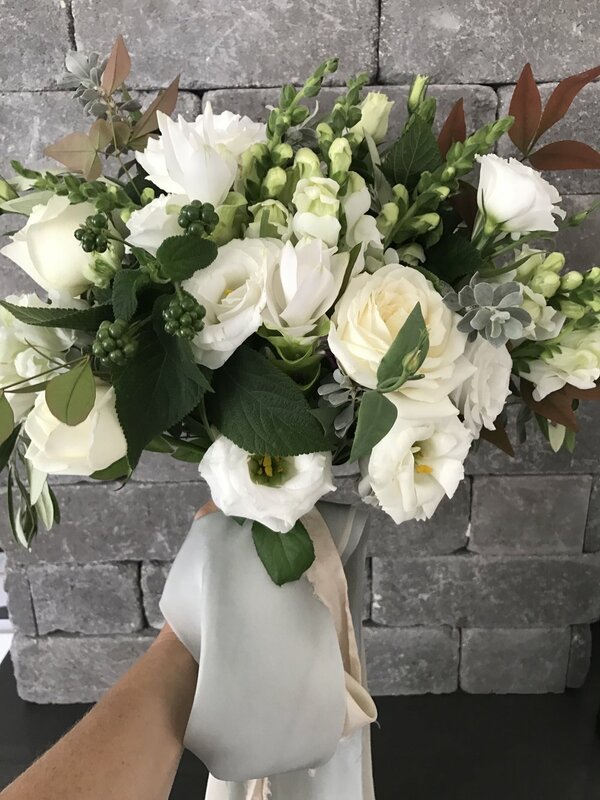 There’s something very special and nostalgic about making a bouquet for your best friend and having the best memories of working weddings in that country flow through your mind at the same time. I dare to say it was Zen (a word I don’t usually say if you know me).